I’m taking up the mantle this week and I’m a sucker for puns relating to my specimen choice in this opening paragraph. The first time I discovered specimens of this week’s species was on the black sands of the North Island of New Zealand. Thousands of these were washed up along the coast, their bright white remains contrasting highly against the volcanic beach OH LOOK AT THAT I’M A FIELDWORK BORE. Before I regale you about my gap yahr (spent volunteering in a museum and working various part time jobs) let us move swiftly on to revealing this week’s specimen of the week. This week’s Specimen of the Week is…. 1) A squid-like non squid… Ram’s horn squid are squid-like cephalopods (the group that contains octopuses, octopodes. octopii, krakens, nautili nautilusses several species of nautilus, squid and cuttlefish) but are distinct enough from other cephalopods to be the sole (living) member of their order, family, genus and species. So although they have squid in their name they aren’t true squid hence the necessity for squid-like (see this blog post for other issues around names and ‘true and false’ animals). 2) Tiny terrors from the deep. Ram’s horn squid live in very deep water, up to 1000m deep rising to shallower water at night. Because of their deep habitat not much is known about how and when this species reproduce and there is a paucity of images of living Spirula. They are thought to live mostly in tropical waters around the Canary Islands but the natural buoyancy of their shells (see below) causes shells to wash up on beaches halfway around the world hence my surprising discovery in New Zealand. 3) Not an ammonite. When I first saw these strewn across the beach I had wondered whether I’d been transported back in time. The shells of the species which we have here superficially resemble those recognisable fossils, ammonites. I was mapping the Jurassic geology at the time but it wouldn’t be until I got back and looked these up that I’d realise that these shells are only superficially similar to the coiled shells of ammonites and cephalopods like the nautilus. Unlike the other shelled cephalopods, this shell is an internal shell that is situated mostly inside the body of a ram’s horn squid and functions as a buoyancy device, much like the similar shells in other cephalopods, except this causes Spirula to hang vertically in the water column with their heads angled downward. 4) So good they named it at least twice. 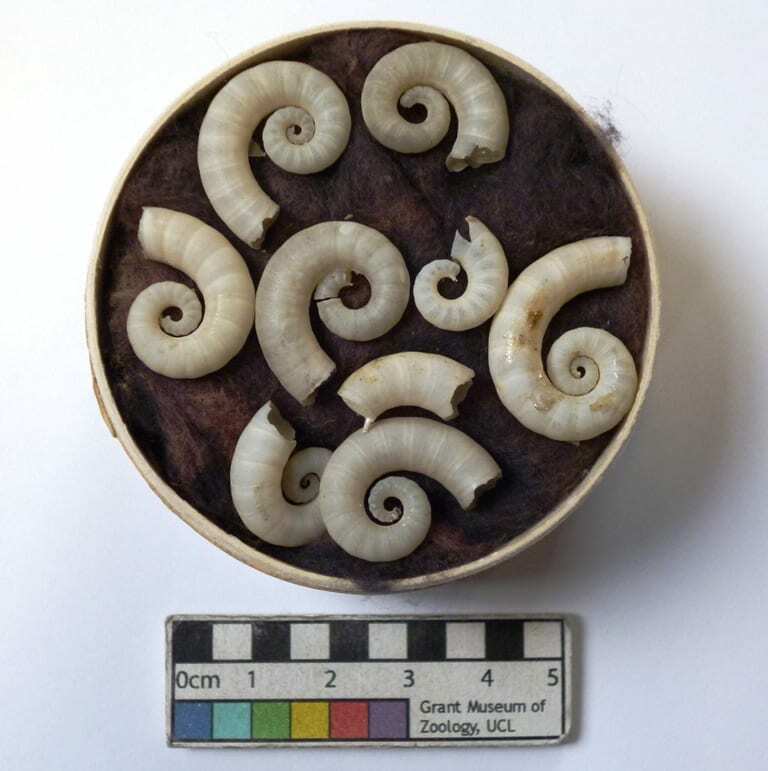 These specimens are labelled under an old name, Spirula peroni. When they were first described by Linnaeus, the father of taxonomy, he named them Nautilus spirula, as he thought they were a species of nautilus. 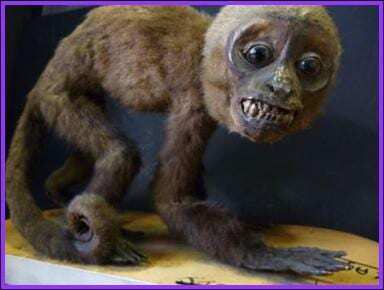 There are up to ten more names given to individuals of this species. Today, however, it is thought that there is only one species of spirulid, Spirula spirula. In addition to having a number of previous scientific names this species goes by a number of common names too including ram’s horn squid, ram’s horn shell, little post horn shell and tail-light squid. 5) The Golden Spiral Much like ammonites and species of nautilus the shell of Spirula is often said to geometrically grow into a golden spiral, a spiral shape with a logarithmic growth factor termed the golden ratio thought to have mystical, magical and geometrically beautiful significance as well as being a ‘universal’ ratio found in galaxy formations, DNA and operating at atomic level interactions. Sadly, however, many of the spirals in nature aren’t formed by the golden ratio but it’s still common to see ammonite, nautilus and even Spirula shells used in the logos for construction, design, architect and software companies and products.